The new up! range is growing, with the unveiling of four up! 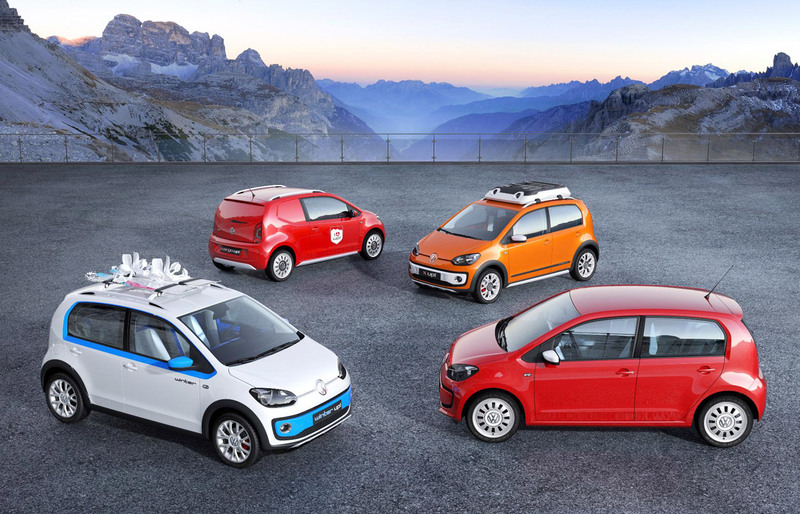 design studies at the Geneva Motor Show next week, each of which shows the versatility and potential of the cleverly compact new Volkswagen city car. The most interest for Trucksplanet is the cargo up! concept, which shows how you can load up the up! for city deliveries, with a huge 1,400-litre or 426kg payload. Underbody protection and a raised ride height allow the cargo up! to tackle pot-holed city streets, while the rear seats have been removed to create a flat load area. A bulkhead with the upper half made from Plexiglas separates cargo from driver, while the rear and rear side windows are body-coloured, keeping cargo safe from prying eyes while still allowing the driver to see through them.